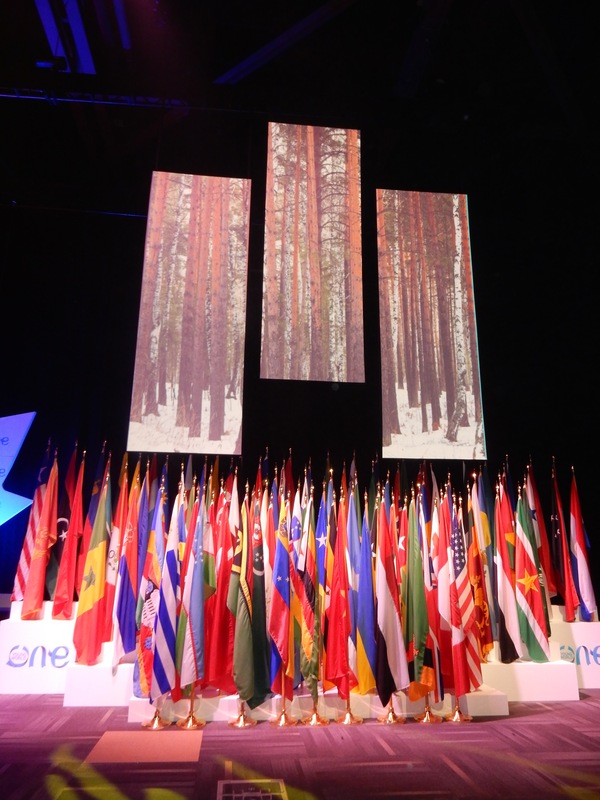 On the third and final day of the One Young World Summit 2016, it was once again up and at ’em bright and early (so happy I would get to sleep in the next day). I went up to the revolving restaurant for breakfast with Alysha-Rae and Duncan and then we walked over to Shaw Centre. The first session of the day was called: Inside Government Policy and was chaired by Barry Featherman (policy strategist). It featured Karen Tramontano (former Deputy Chief of Staff to President Clinton); Beatrice Rangel (former Chief of Staff of Venezuela) and Guillermo Gonzales Arica (former Chief of Staff/Ambassador of Peru). It focused on providing: insider perspectives on creating, shaping, and implementing policy at the highest level of government. 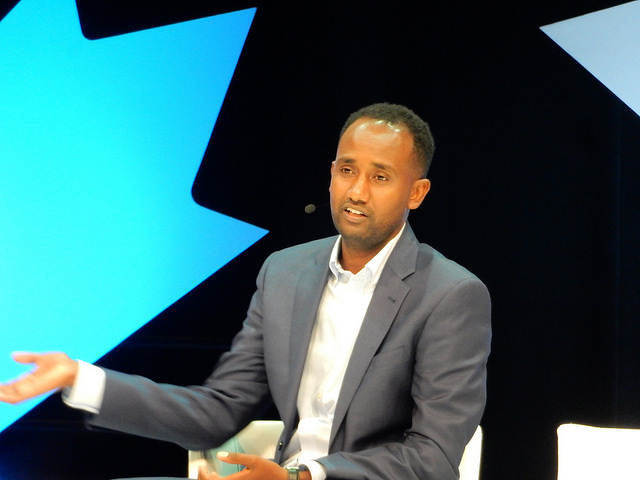 Next up was Ethics in the context of technological advancement with Emmanuel Lulin (Senior Vice President and Chief Ethics Officer of L’Oreal). Then it was Mother Tongue, a spoken-word piece about mental health by Hussain Manawer. Hussain is a mental health advocate who will be the first British Muslim to go into space next year after winning a contest. 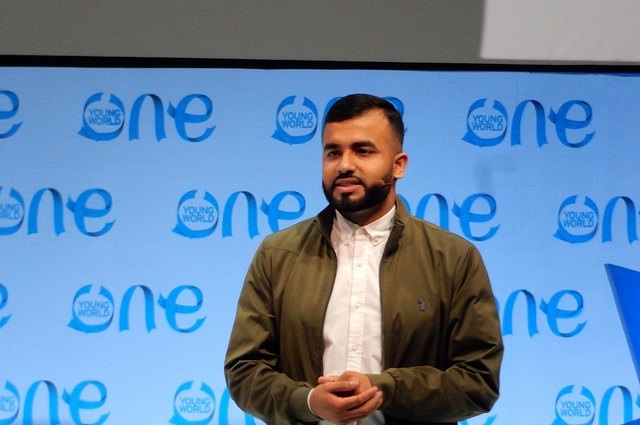 He has an online channel on youtube called Hussain’s House, has spoken to over 400 schools about cyberbullying and climbed Mount Kilimanjaro for charity, among other things. His spoken-word piece was beautiful and incredibly powerful, I encourage you to listen to it. This was followed by a mental health session entitled: Health – How can we halt the rise of depression and suicide among young people? 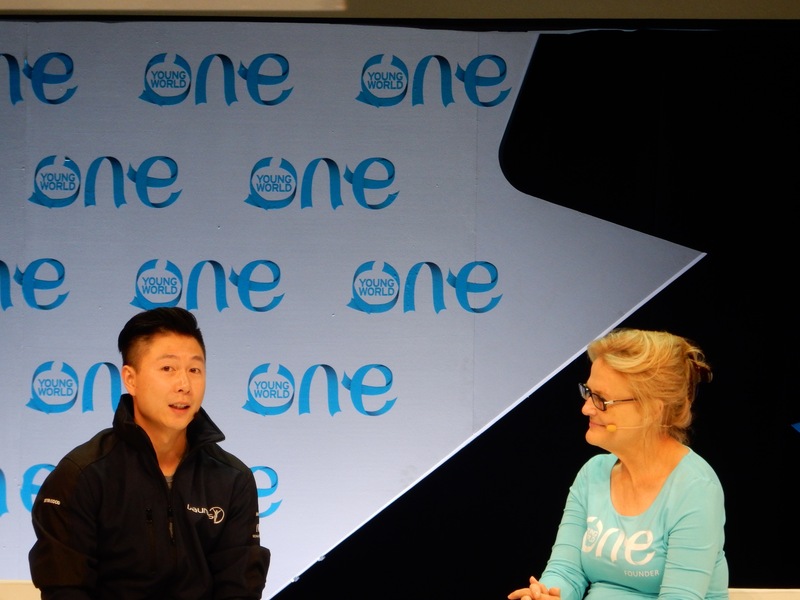 and was led by James Chau (Journalist and UN Goodwill Ambassador). 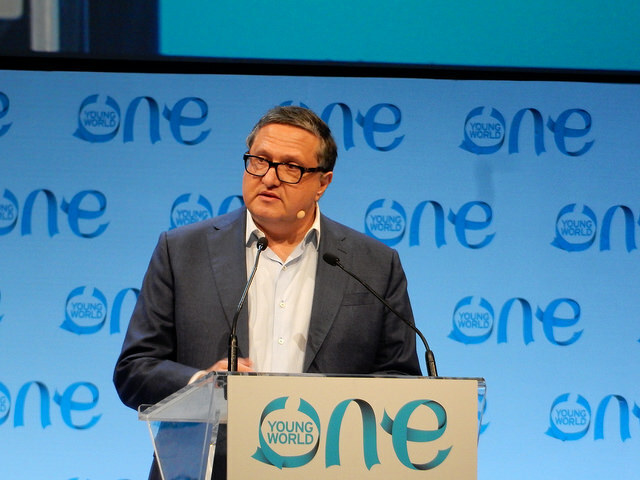 Counsellors included Beatrice Rangel (former Chief of Staff of Venezuela); Jon Landau (Avatar and Titanic producer); Ronan Dunne (former CEO of Telefonica & Next Group President of Verizon Wireless); and Vinicio Cerezo (former President of Guatemala). Delegate speakers were: Jan Peloza (founder of Youth Network No Excuse Slovenia); Alicia Raimundi (mental health ambassador for several organizations); Raghu Appasani (founder and CEO of The Minds Foundation); Ivan Nosov (Total Rewards Manager for PepsiCo); and Rogerio Malveira Barreto (co-creator of ADVMED). Their stories, and the work that they do is truly inspiring. Then it was time for a much-needed break. 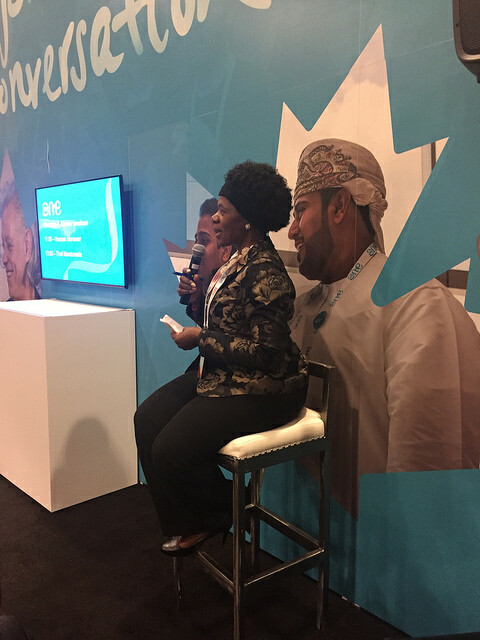 Most of the networking breaks and lunch breaks featured one of the counsellors speaking and you could sit and ask them questions and hear them speak in a more intimate setting. I did spent a bit of time this break listening to Hussain Manawer speak, which was really interesting. 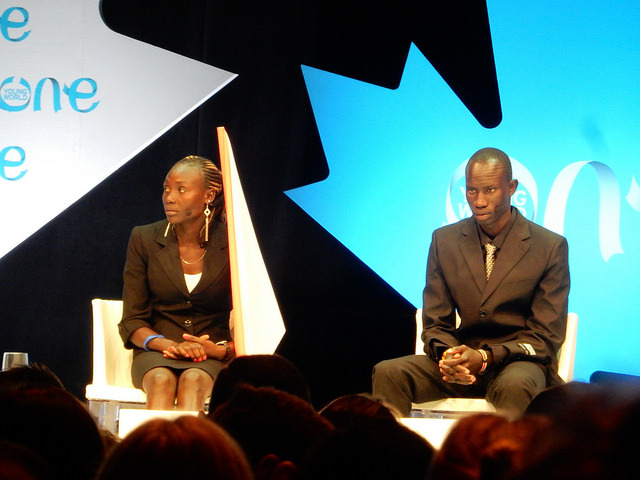 The next session was entitled Refugee Heroes was led by Fatima Bhutto (author and journalist) and featured delegate speakers James Nyang Chiengjiek and Anjelina Nadai Lohalith (both are Olympic Team Refugee athletes from South Sudan who competed at the Rio Olympics); Hani al Moulia (student and photographer from Syria); and Meron Yemane Semedar (Migrant Advocate, author and student from Eritrea). This was a session I was very interested in, as the current refugee crisis is the worst we’ve ever seen. 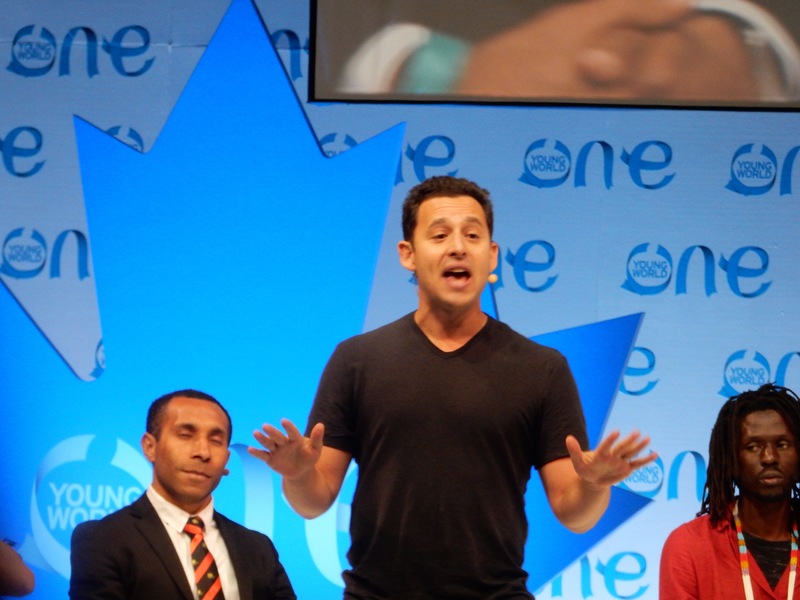 Listening to them speak about their experiences as refugees was very moving. Once again, I encourage you to watch and listen to their stories. Afterwards it was Impactful Leadership Beyond Title: Public Protector South Africa Case Study with Thuli Madonsela (former Public Protector of South Africa). Having volunteered at an orphanage in Soweto, South Africa for 3 months in 2015, I was very interested in hearing this session. Next up was What Could You Achieve? led by Ronan Dunne (former CEO of Telefonica & Next Group President of Verizon Wireless) and featured delegate speakers Lina Khalifeh (founder of SheFighter, an NGO teaching women self-defense in Jordan); Jeremy Lamrie (CEO of Monkey tie); and PJ Cole (Executive Director of Lifeline Nehemiah Project). It was a pretty interesting session about their success and their failures, how they’ve achieved their business goals and helped to change the world. It was finally time for lunch and while we ate we were able to sit and listen to Thuli Madonsela (former Public Protector of South Africa). I did sit and listen for a bit, she had some interesting things to say and it was pretty cool to be able to be so up close and personal with her. After lunch we ended up having a special session that had not been announced. 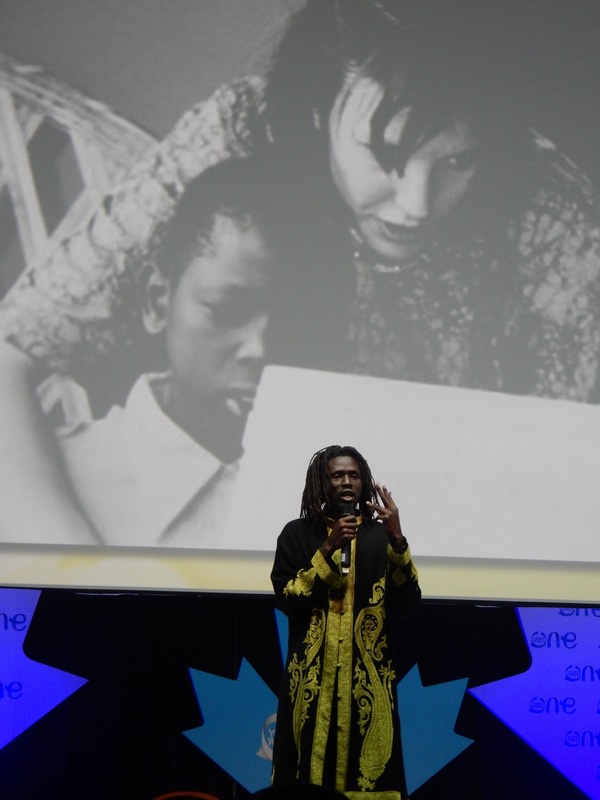 We got to hear a spoken word poem from Emmanuel Jal, a South Sudanese-Canadian who was a child soldier and is now a political activist, musician, author and actor. I’d never heard of him before, but his poem and his story were so powerful and it was so interesting to hear him speak. I definitely want to read his book War Child: A Child Soldier’s Story. 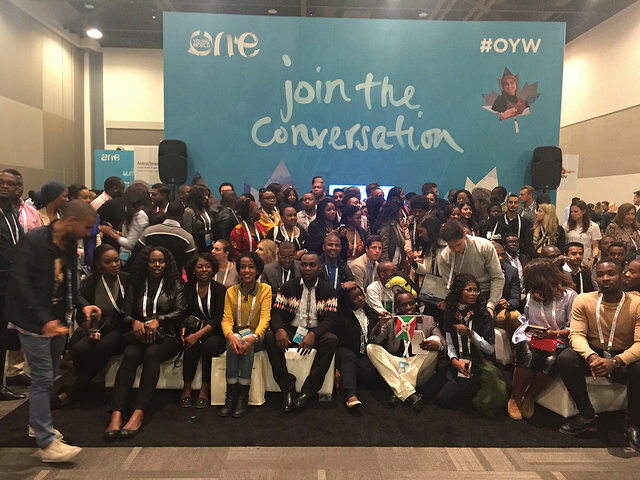 Then it was back to our regularly scheduled program with The Power of Partnerships in Action led by Lord Michael Hastings (Global Head of Citizenship at KPMG) and featuring the Enactus Canada‘s 2016 National Champions from Memorial University of Newfoundland. I had never heard of Enactus before, but it is: a community of student, academic and business leaders committed to using the power of entrepreneurial action to transform lives and shape a better more sustainable world, according to their website. The presentation that the students did was super interesting and inspiring. Their main project for this year, Project SucSeed is innovative, progressive and is making the world a better place by tackling the issue of food security in Northern Canada. It’s a really great project all around, using recycled materials, micro-financing, co-operatives and giving at-risk youth employment opportunities. I’m so impressed by it, that I’m seriously contemplating buying one of the units for myself so I can have fresh, cheap raspberries all year long!!! They have some other really great projects that you can check out here. 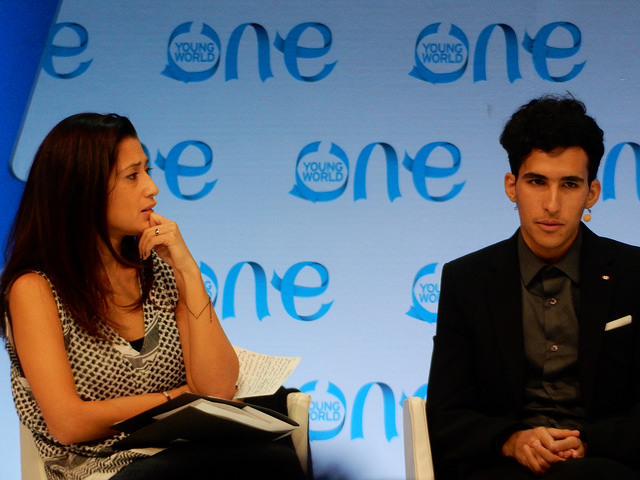 The next session was entitled Education: Why are schools failing to prepare young people for today’s job market? 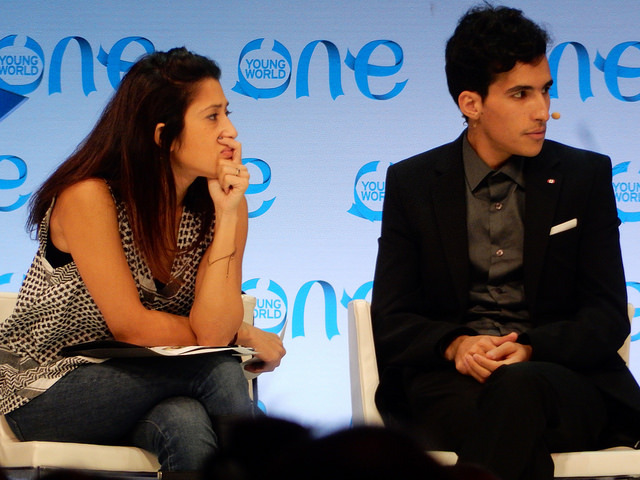 It was led by Harley Finklestein and featured counsellors Fatima Bhutto (author and journalist); Emmanuel Jal (political activist, former child soldier); Li Xiaopeng (Olympic gold medallist); and Carole Stone (author and broadcaster). It also featured delegates Bal Kama (founder of Kama Scholars Foundation); Joannes Paulus Yimbesalu (Global youth ambassador); Wasim Abu Salem (project manager at the Israeli Internet association); Tevin Shepherd (Vice President of the Saint Lucia National Youth Council); and Jeremy Lamri (founder of Monkey tie). These delegates are helping those who don’t have access to education as well as coming up with ways to tackle how we educate our children for the future and for the job market. Once again, super inspiring. Then it was time for Sport for Good. 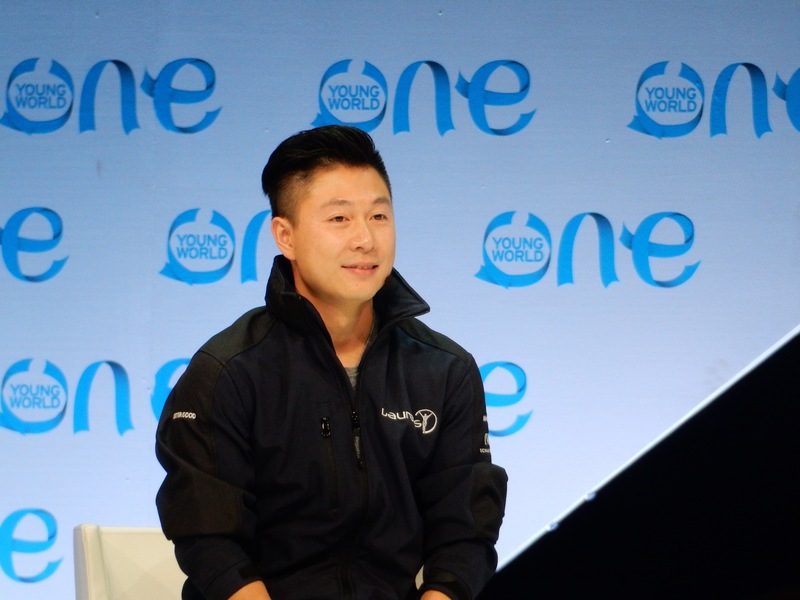 How Sport has the power to change the world with Li Xiaopeng (four-time Olympic gold medallist). The next session was How can we help the whole world see clearly by 2035. James Chen (venture philanthropist) talks about his project: Clearly, which aims to help the 2.5 billion people who suffer from poor eyesight with no access to treatment. One of Clearly’s success stories, called Vision for a Nation has ensured that every person is Rwanda now has access to free eye screening and treatment by nurses in local clinics. It’s a great campaign and I encourage you to listen to James speak about his project in the video below. The last regular session of the day was called See Us with returning ambassador Oscar Anderson (a disability activist) and his dad. Oscar, who has cerebral palsy caused by untreated neo-natal jaundice, is such an inspiration, advocating on behalf of those who have disabilities and showing us that he and others like him are capable of so much more than what society deems they are. And so ended the main sessions. We then were divided into groups to go to our second breakout session of the conference, the internal breakout sessions. Unlike the external breakout session where my group had gone to Parliament Hill, this one was still in the Shaw Centre, but in a smaller room with about 30 delegates. Our session was entitled Harnessing the Power of the Media to Accelerate LGBT Acceptance and it was pretty interesting. 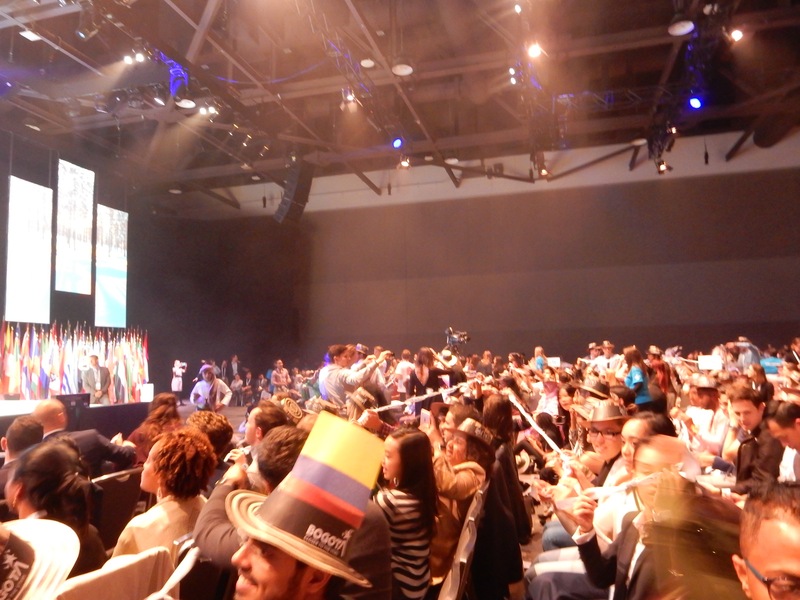 Then it was back to the main hall for the closing ceremonies. 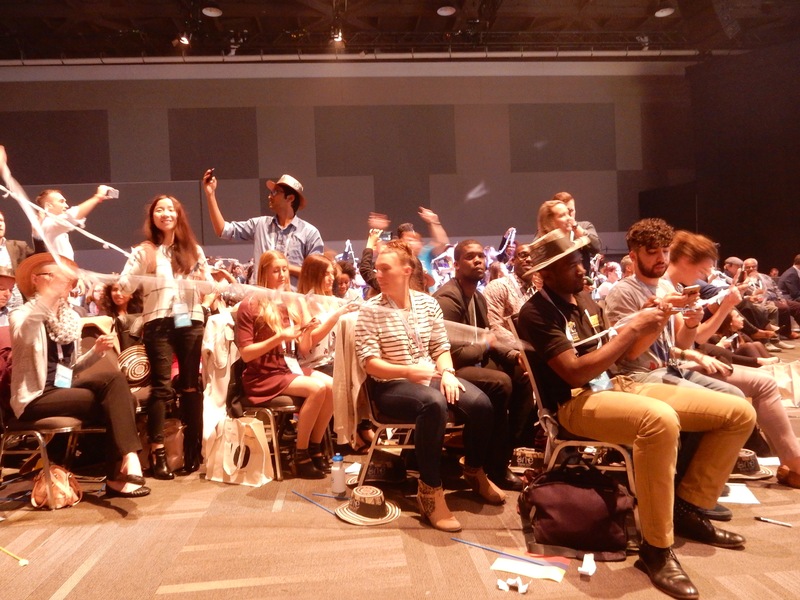 While the opening ceremonies had been held outside on the grounds of Parliament Hill, the closing ceremonies were more intimate, located in the hall where we’d spent the majority of the last three days. 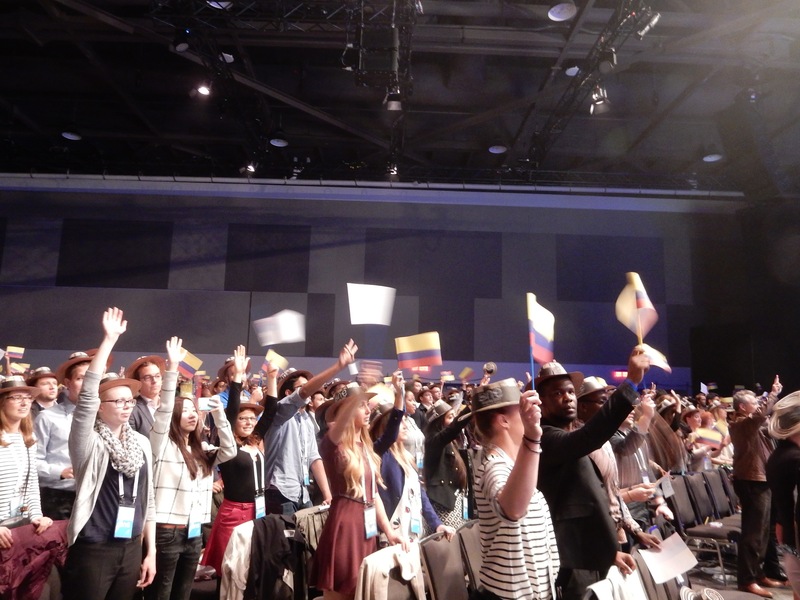 We walked in and every seat had a traditional Colombian-style hat and Colombian flag (next year’s summit will be held in Bogotá, Colombia) as well as a ribbon and a marker. 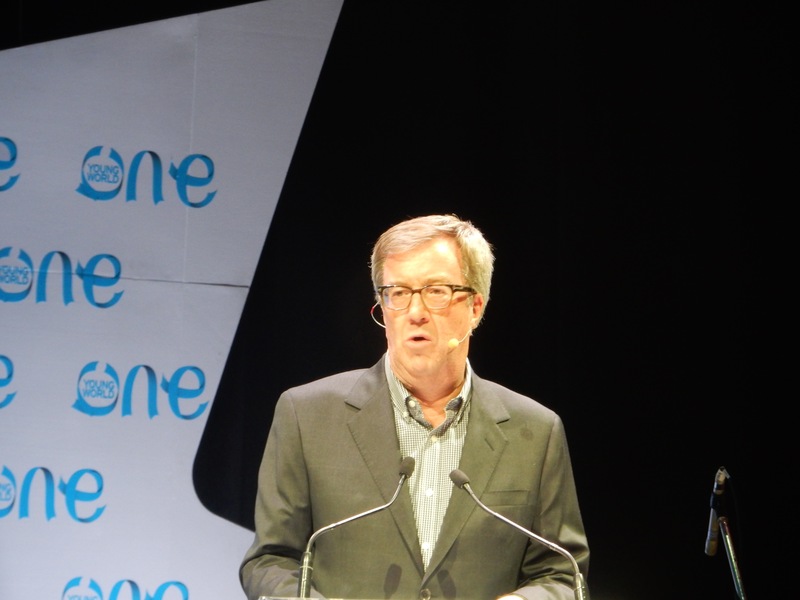 First we heard from Jim Watson (the mayor of Ottawa) then watched a video for Ottawa 2017 (2017 will be Canada’s 150th anniversary of Confederation, check out Canada 150 for more info). 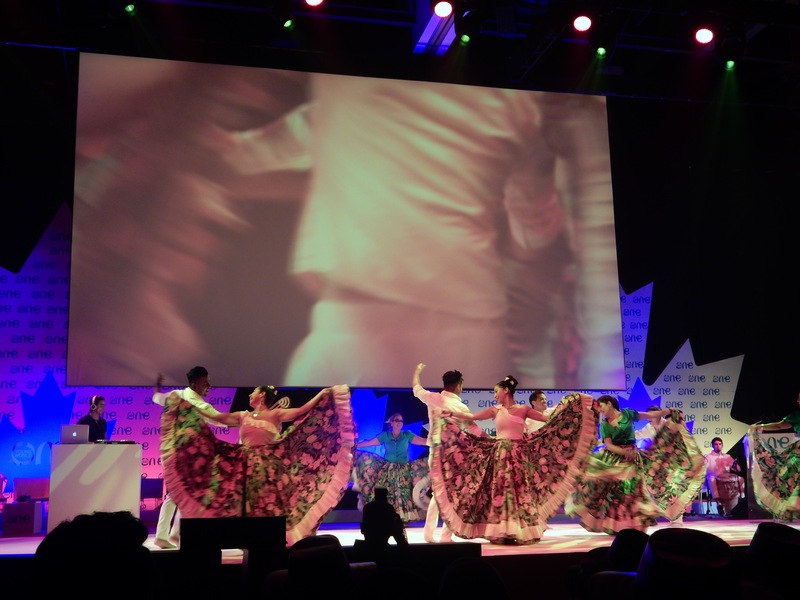 There was a presentation from the Colombian delegation, giving everyone a taste of what to expect at the 2017 summit in Bogotá. 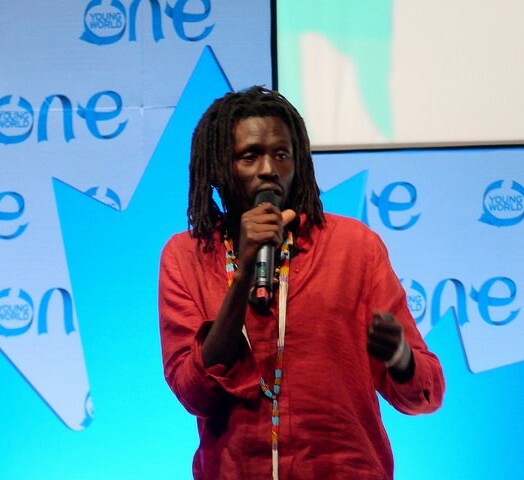 Next up was Emmanuel Jal performing one of his songs, We Want Peace. He also taught us some dance moves! Then it was time for the highlight video of this year’s summit. It was actually pretty cool to watch because even though we’d literally just lived through all of it, it was a great reminder of just how much had happened in just a few short days. Then it was time for a One Young World tradition. 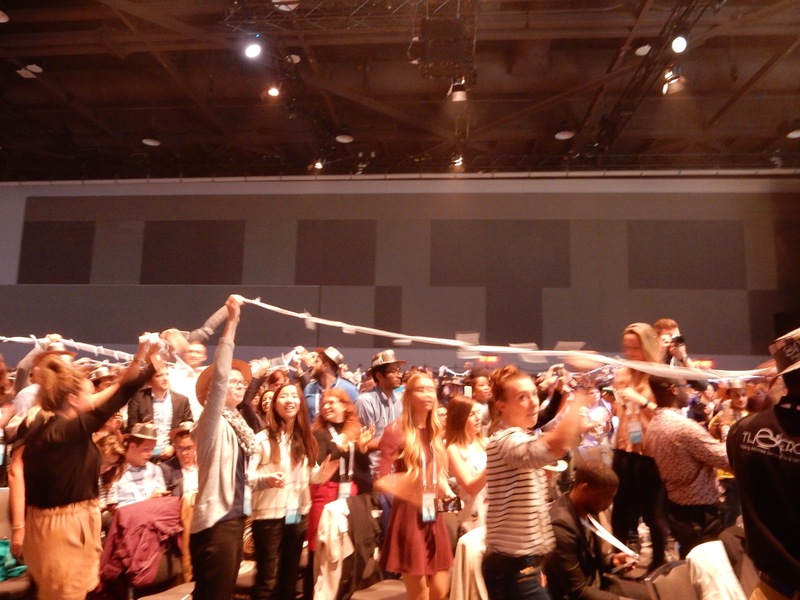 We had each been given a ribbon and a marker and we were told to write down our personal commitment to action after leaving the summit. 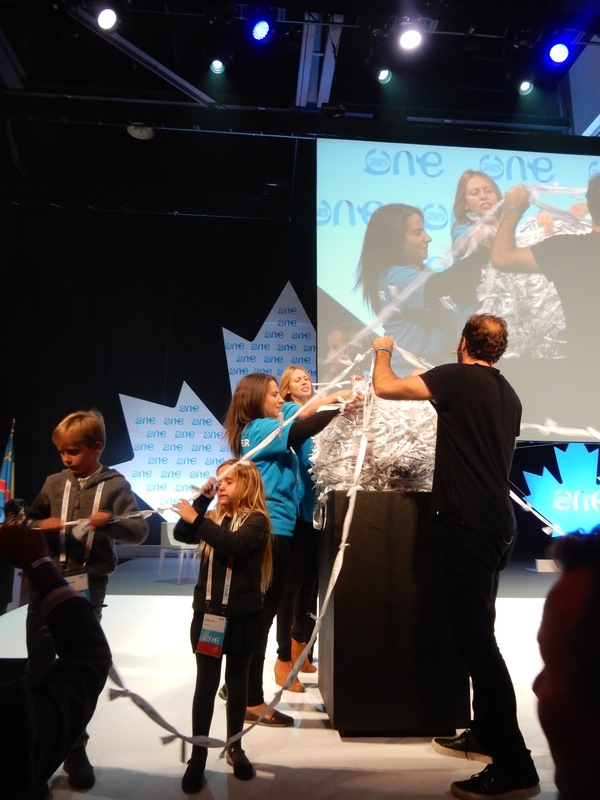 Then all the ribbons were tied together, passed through the hall onto the stage and rolled up into a giant ball, signifying that we were now ambassadors of One Young World. 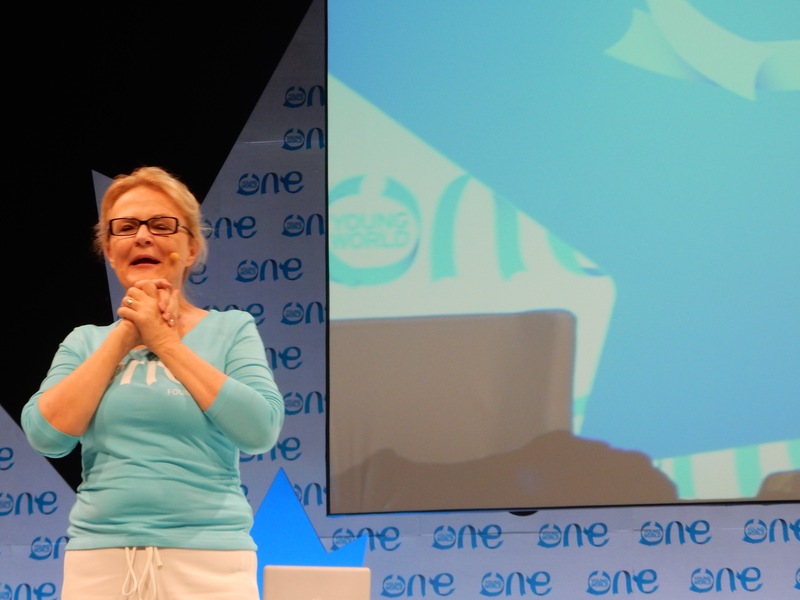 Lastly, we heard from Kate Robertson and David Jones, the co-founders of One Young World. And with that, the summit was officially over! There was a goodbye dinner afterwards which gave us a chance to walk around and talk to people and say goodbye. I ended up speaking with Lina Khalifeh, the founder of SheFighter and one of the delegates who had spoken at several of the sessions. I told her I would be visiting Jordan shortly and she gave me her card and told me to come check out the classes when I was there, which was really cool. There was a dj and dancing upstairs, so Alysha-Rae and I went up to do a bit of dancing before heading off to an Irish pub with some Germans and Canadians we had met. We had such a great time at the pub with our new friends! Eventually we all walked back to the hotel, and Alysha-Rae and I went to say goodbye to Duncan, before heading back to our room and saying goodbye to each other, since she had a really early morning flight and I didn’t. Sunday I woke up as late as I could, had some room service breakfast, got ready, packed up the rest of my stuff and checked out. I ended up seeing a girl from Morocco I had talked to a few times during the summit, so we shared a cab together to the airport, which was cool. I checked in, went through security, boarded my flight and then I was on my way back home to Winnipeg!!! I was exhausted but also so happy that I had taken the opportunity to go to the summit even if it had meant returning to Canada for 2 weeks in the middle of my Europe trip. It was a once-in-a-lifetime opportunity and I’m so grateful to the Canadian government and International Experience Canada in particular, for sponsoring me. I learned so much while I was there and it really opened up my eyes to so many possibilities. There are so many issues and problems that the world is facing and sometimes it can be so overwhelming that you feel like there is no hope and there is nothing you can do and so, why bother? But the summit showed me that there IS hope, that there are people out there fighting and working every day to make the world a better place and that one individual CAN make a difference.